With 2 pockets these waste recycling rollcage sacks help keep your working environment clean and tidy. 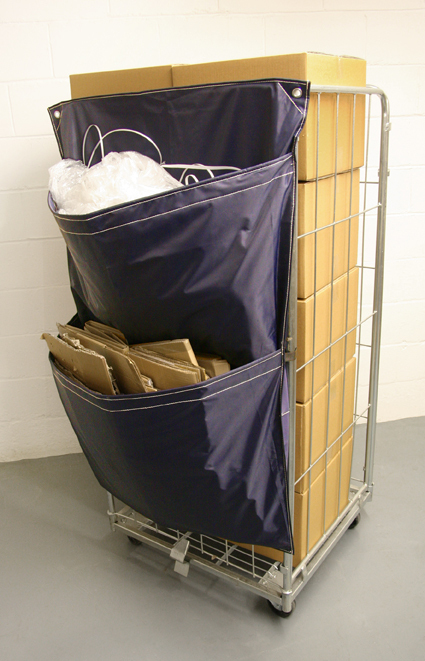 Keep your workplace neat and tidy by fitting the cagesack, ideal for use on 800mm wide roll containers. 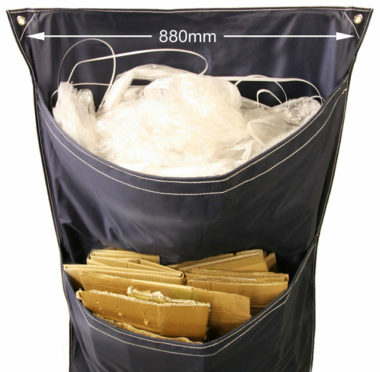 Made from tough waterproof polyester, large capacity twin pocket sacks can adequately withstand the rigours of an industrial environment. 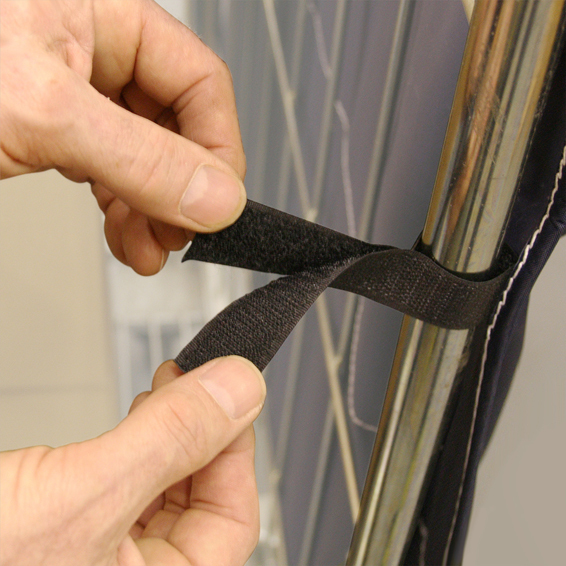 Fits either by hooking over the sides or can also be secured via eyelets in the top corners. 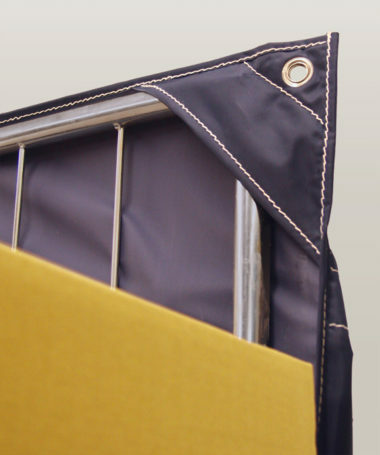 Velcro straps help secure the middle of the sack.